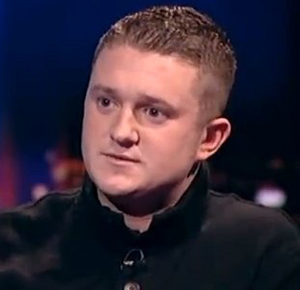 The controversial debate at Oxford Union with the English Defence League’s divisive leader Tommy Robinson may be suspended. Scheduled for 14th November 2013 the debate carries the motion of ‘This House is Proud to be Patriotic’ and has drawn much media interest after Simon Blackaby’s informal invitation to Robinson on Twitter. Blackaby, a committee member of the society tweeted to Robinson ‘the@Oxford Union would love to host you as a speaker’, which received criticism from the National Union of Students and the president of Oxford University’s student union. Concerns have been raised about the level of security needed if Robinson did attend the debate. Parit Wacharasindhu, president of the Union reiterated the society’s tolerance of the principle of free speech, but also recognised the security problems the controversial debate could cause. "There will be security concerns - an issue raised by other parties - which need to be resolved" said Wacharasindhu. The prestigious Union prides itself on the calibre of its speakers, who have previously included US President Richard Nixon, Prime Minister Winston Churchill and Professor Stephen Hawking. Can we learn from the Chilean student protests?